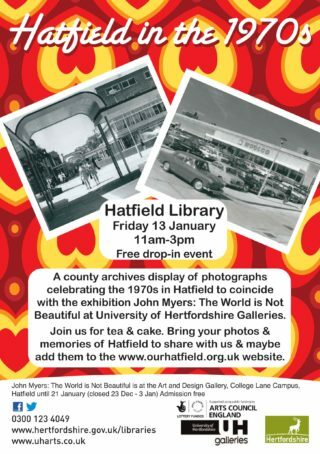 In early January, Hertfordshire Archives & Local Studies (HALS), Hatfield Library and the Our Hatfield community archive volunteers joined forces to host an event celebrating life in Hatfield during the 1970s. 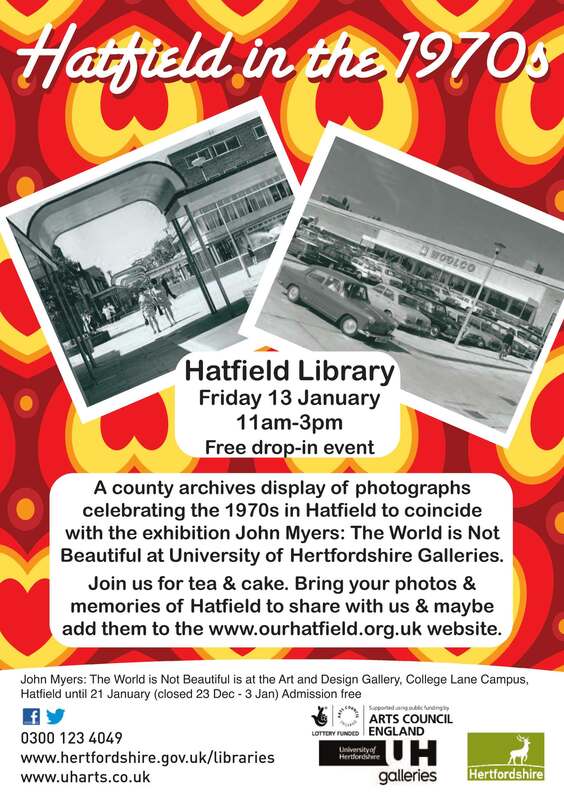 The event came about thanks to an invitation to create a community event to coincide with University of Hertfordshire Galleries’ own Arts Council funded exhibition, ‘The World is Not Beautiful’ – an exhibition of images of 1970s West Midlands by John Myers. The exhibition will remain at Hatfield Library until 27 January 2017. We hope it inspires you to add your memories to this site. This page was added on 21/12/2016.